MADERAS QUINTELA, S.L. 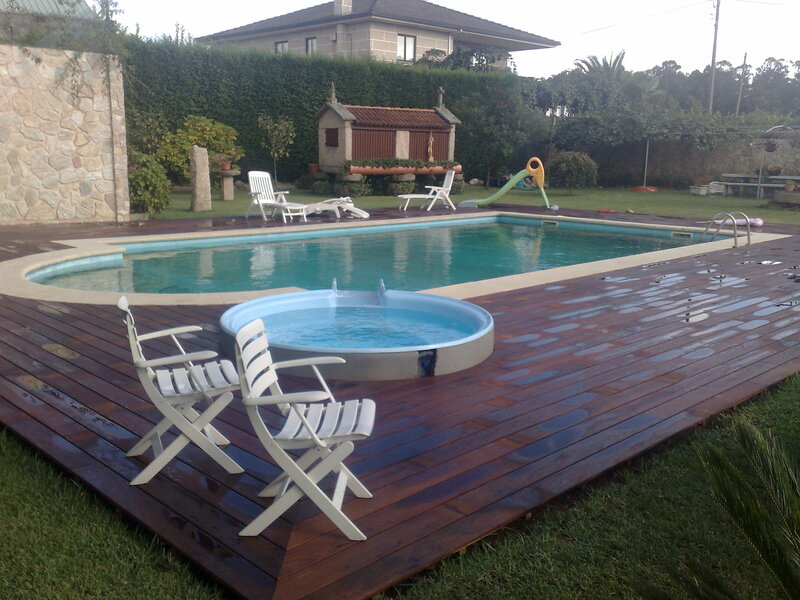 us a company, situated in Galicia - Spain, specialized, from 1,990, in the manufacture and distribution of pavements of timber for outdoor, pallets ecological, and various platforms for inside. Our goal is to present a comprehensive service and expertise to the customer, advice based on our experience, and keep you informed of the new products that we will go incorporating, under the market trend, while maintaining an optimum quality/price. Following the pattern of maximum service WOODS QUINTELA, S.L. provides a wide range both in woods outside: IPE, TEKA, CUMARU, etc. as in various platforms for interior: ROBLE, JATOBA, SUCUPIRA, etc. In addition distribute all necessary complements to successfully completing any installation. Our distribution network covers both the domestic market as the European. In MADERAS QUINTELA, S.L. we are certified Cdc FSC y Cdc PEFC. Localization | Policy | Email | ©2007 MADERAS QUINTELA, S.L.